Who’s side are you on? 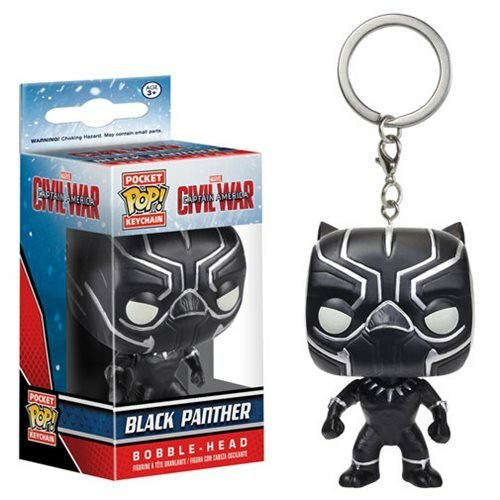 This Captain America: Civil War Black Panther Pocket Pop! Key Chain features a miniature version of the Wakandan King as a cute key chain! Key chain measures approximately 1 1/2-inches tall, so he’s just the right size for your keys or backpack! Ages 3 and up.